“The Sierra Gorda region has solidified their commitment to help their local communities preserve two major conservation areas in the Sierra Gorda region: one in Querétaro and one in the state of San Luis Potosí, through sustainable tourism development and their work in the GSTC Destination Partnership Program. Through this collaboration and network, ecotourism is an impetus for conservation efforts and addressing poverty alleviation full scale. We highly commend Sierra Gorda’s leadership in working towards sustainable development and addressing the current challenges within the region” expressed Dr Kelly Bricker, GSTC Chair, Board of Directors. 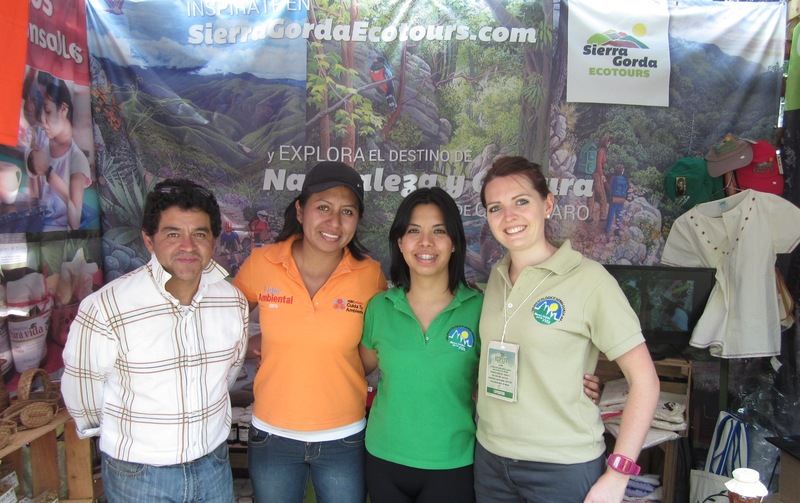 Assisted by Grupo Ecológico Sierra Gorda – destination Liason – Sustainable Travel International conducted an on-site evaluation of Sierra Gorda as part of the GSTC Destination Criteria Early Adopter Program. 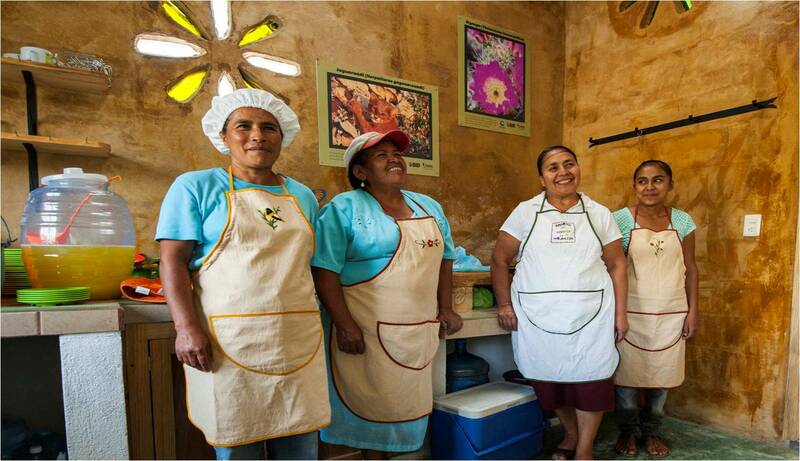 “The community-driven approach in Sierra Gorda is extraordinary, and at the very heart of Grupo Ecológico Sierra Gorda’s mission. The destination’s excellent stewardship practices include carbon emission and waste management, the involvement of local community groups in conservation initiatives, and effective capacity building programs for local micro-enterprises. We are confident Sierra Gorda will build on these strengths while adopting recommendations for improvement in the coming period,” concluded Kathleen Pessolano, the “Assesor” and Senior Director of Destinations at Sustainable Travel International. 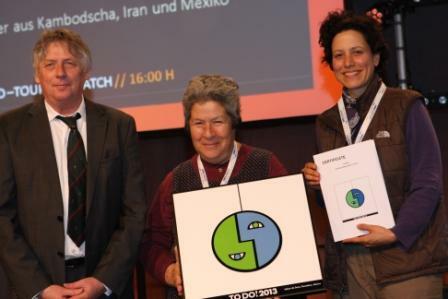 For the first time, Grupo Ecológico Sierra Gorda represented the network of community ecotourism and nature operators in the Sierra Gorda at ITB Berlin, the International Tourism Bourse, known throughout the world as both the top trade show for the global tourism industry and the largest travel show for private visitors. Studienkreis für Tourismus und Entwicklung e.V. foundation focuses on socially responsible tourism and on the 5th March they presentedthe awarded tourism projects with theTO DO! 2013 prize since they share the same objective: to improve people’s living conditions by carefully developing tourism products and services in a planned manner – in ecologically valuable areas. The most important criterion for the award is the participation of the local population in the planning and implementation of all the tourism related projects. This establishes a special connection between participation, social responsibility and sustainability. 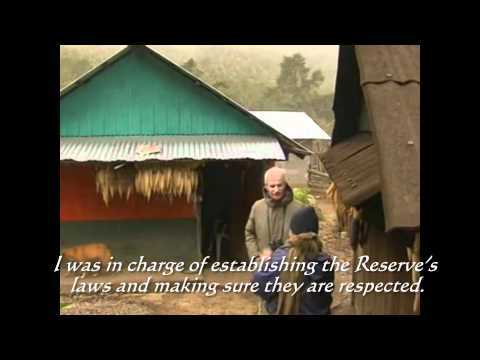 The regional development project of Grupo Ecológico Sierra Gorda in the Biosphere Reserve in Querétaro, Mexico, the Chambok Community Based Ecotourism Project in Cambodia at the Kirirom National Park, and the Boomkolbeh – Turkmen Ecolodge at the rim of the Golestan National Park in Iran are the winners of the TO DO! 2013. 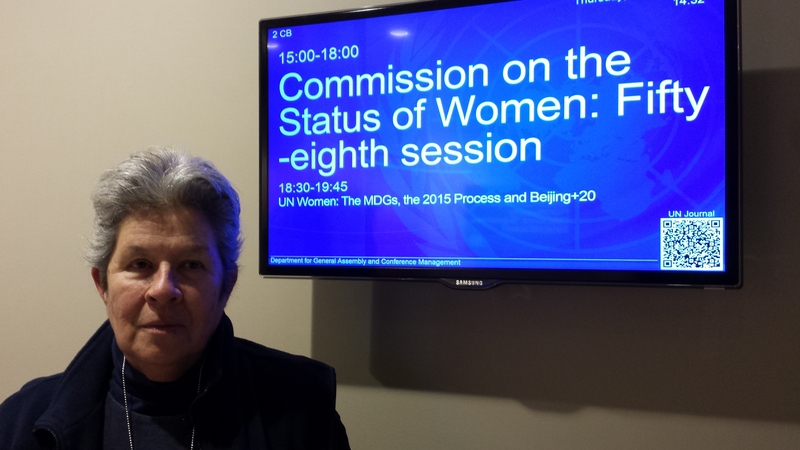 This past month, long-time conservationist and gender activist Martha “Pati” Isabel Ruiz Corzo participated in the fifty-eighth session of the UN Commission on the Status of Women (CSW), at United Nations Headquarters, New York. Ms Ruiz Corzo was invited as a panelist to discuss the issue of gender and access to resources, an issue of growing concern and import as cities around the world grapple with achieving both sustainability and a higher degree of resilience, while rural progress and development continues to rapidly advance. During the last weekend of March, members of the GESG team attended Ecofest in Mexico City, a fair of sustainable products organized by Páginas Verdes (a directory of sustainable businesses in Mexico). It was a great success and we hope that lots of people who visited our stall will visit the Sierra Gorda as responsible tourists. Employees of BIAZA – the British and Irish Association of Zoos and Aquariums – are taking on a Chilli Challenge to raise funds for land purchase in Mexico’s Sierra Gorda as part of BIAZA Buy an Acre. The aim of BIAZA Buy an Acre is to raise £10,000 to safeguard 100 acres of land in Sierra Gorda, Mexico, in partnership with WLT and WLT’s Mexican partner Grupo Ecológico Sierra Gorda (GESG). The BIAZA camera-trap will be presented to Roberto Pedraza, GESG’s Technical Director, when he visits London in May. On Saturday 29th March the first of a series of Saturday workshops for members of Ecoclubes Mexico was held by Grupo Ecologico Sierra Gorda in Jalpan de Serra. Members of the Ecoclubes act as environmental ambassadors within their communities and work to encourage others to help look after the planet. This week’s workshop included a presentation by Mario Pedraza the coordinator of the soil regeneration and management program at Grupo Ecologico Sierra Gorda. The members of the Ecoclubes learnt about the negative effect intensive agriculture is having on our soils and wildlife and how alternative methods can help support biodiversity whilst producing excellent harvests. 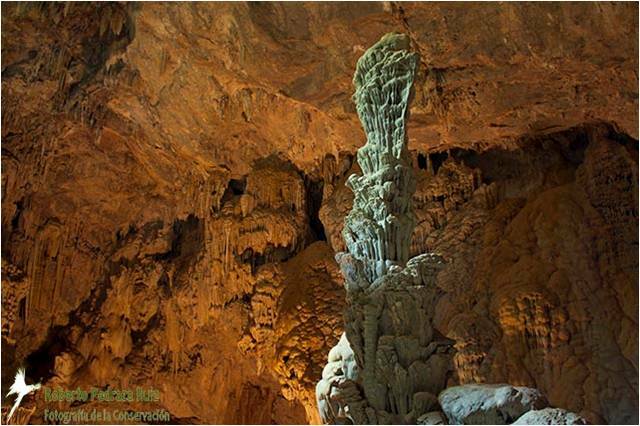 Counterparts of the surface ecosystems, in the gut of the Sierra Gorda’s limestone rock, water and patient processes over millions of years have created subterranean gardens. Delicate and vulnerable, these subterranean gardens are home to unique and beautiful spots. In this photo, the light and reflection, thanks to a natural skylight, highlighted the rocks’ varied tones, even though they are of the same composition. These spaces deserve all our effort to be protected. Central to these discussions is the question of how best to promote women’s access to productive resources such as land, technology, and institutional credit and finance in an effort to reduce gender inequality and poverty. Too often, women are locked out in terms of ownership, decision-making, and use of such resources, meaning they reap little benefits from any of the development such resources can yield. And while the challenges to women’s access are complex and often context-specific, there are also many similarities, such as inadequate legal standards and/or their ineffective implementation at national and local levels, and discriminatory attitudes and practices at the institutional and community level. Panelists provided overviews on the current status and expectations while representatives of Member States and non-governmental organizations were encouraged to share their expectations, proposals and perspectives on how to promote women’s access to productive resources.